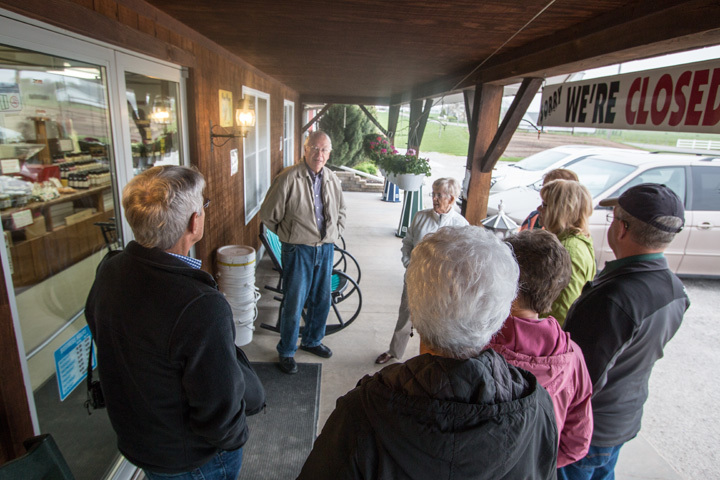 The Blue Gate is excited to offer a back roads tour which will get our guests up close and personal with the Amish community. For generations "outsiders" have been fascinated by, and filled with questions about, the Amish way of life. Blue Gate Amish Tours strive to satisfy your curiosity by introducing you to the Plain people. 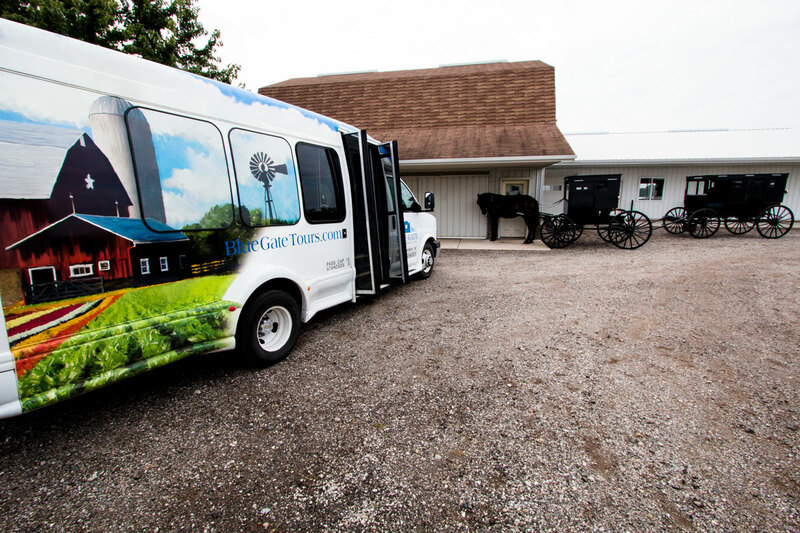 All tours are conducted in a climate controlled, easy on/off 14 passenger bus equipped with a PA system and driven by a guide who is knowledgeable in the culture of the local Amish community. For more information and/or booking options call: 888-447-4725 and ask for Amish Tours. A two and one half hour tour offered at 12:55 p.m.
On this Amish adventure, participants will not only sightsee through the beautiful farm dotted countryside, but will make three stops along the way to visit with our Amish neighbors. Each host at these stops is anxious to meet you and introduce you to their unique culture. "Awesome Tour: My niece and I went on the tour of two businesses and the home of one of the sweetest people I have ever met. The whole tour was interesting and we were a little sad when it was over. Our guide was fantastic! Take the tour; you will not be disappointed." A one and a half hour tour offered at 6:55 p.m. This one and one-half tour has been created to offer two unique experiences: to give our guests an opportunity to leave the hustle and bustle and experience the beautiful and peaceful backroads scenery of Amish country. 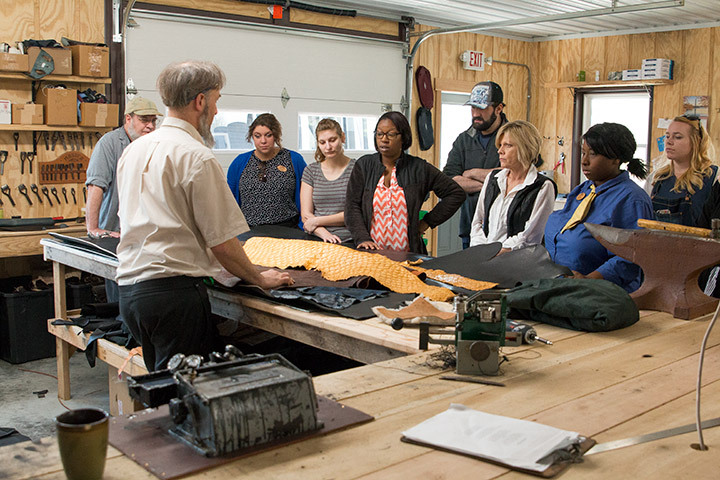 And, to give participants a once and a lifetime opportunity of being welcomed into an Amish home and learning first hand about the culture and faith of the "Plain" people. "Warm and Inviting Atmosphere: I had a delightful time visiting the Amish family who invited us into their home! While visiting, they served us popcorn while sharing many aspects of their lives with us. It was a warm and inviting atmosphere, one I won't soon forget! It was the perfect way to end our stay in Shipshewana." A two and one half hour tour offered at 9:55 a.m. 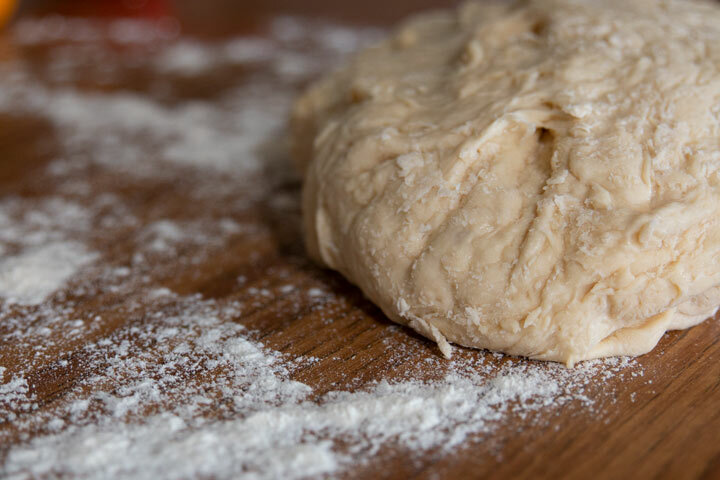 This brand new experience will open your eyes, and your tastebuds, to the world famous phenomenon that is Amish cooking. Along with the beautiful scenery of Amish farm country, you will make three stops at Amish homes and businesses to sample some of the best delicacies that this unique culture has to offer.